A graduating scholarship-athlete, with a International and Administration Business Degree from Oregon State University (PAC-10 NCAA Div. 1). Being a high level Student-Athlete is something Kyle passionately delivers to all the athletes he coaches. With 17 years of coaching experience from around the world Kyle understands how to connect with those he coaches from a player-coach standpoint that can lead to faster development of capabilities, physically but more importantly mentally. 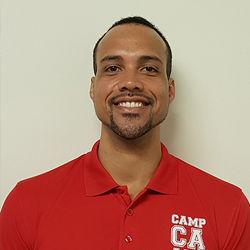 Coach Kyle played professional basketball around the world for 8 years and for 7 seasons was the Singapore Slingers Captain from 2009 - 2016. Kyle's playing experience enables his coaching detail to magnify the quality and drive of training every time a player steps on to the court with him. He is now Head Coach and Coordinator at Stamford American International School where he oversees the development of the entire program on both the boys and girls teams. The coaching style doesn’t focus on the winning side of the game but more so on the wholistic development of the individual not just centered on the athletic aspect but also the character as an embodiment of overall life skills. Multiple Accolades in CBL Competitions past 5 seasons at U11 - U15 age groups, boys & girls. Has mentored a budding basketball talent from University in the states to a professional player in the China Basketball Association where he was drafted number 8 in the CBA after graduating University.